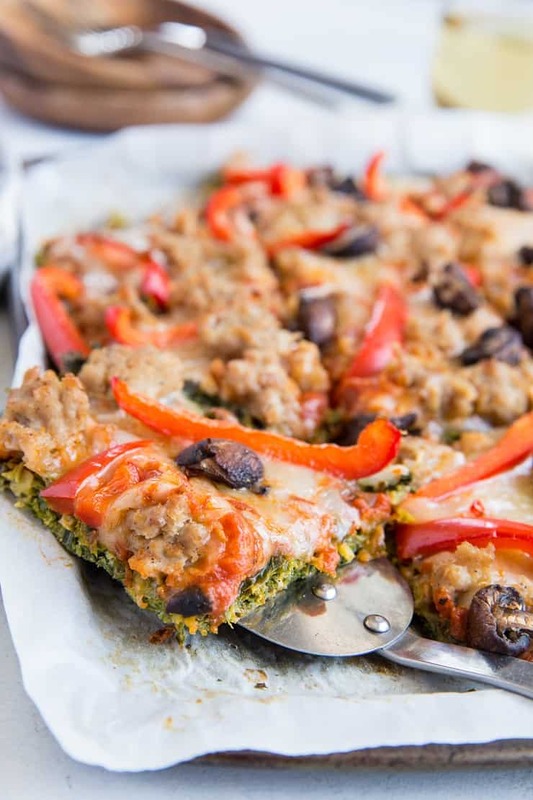 Kale pizza crust is exactly what it sounds like! 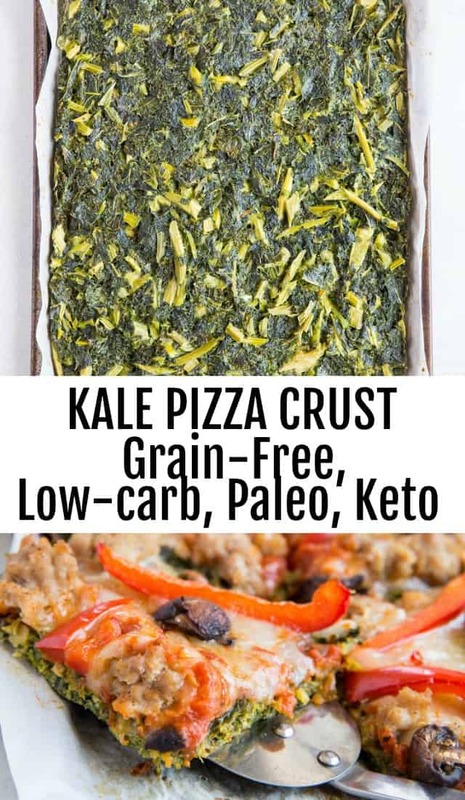 — a pizza crust made with kale. 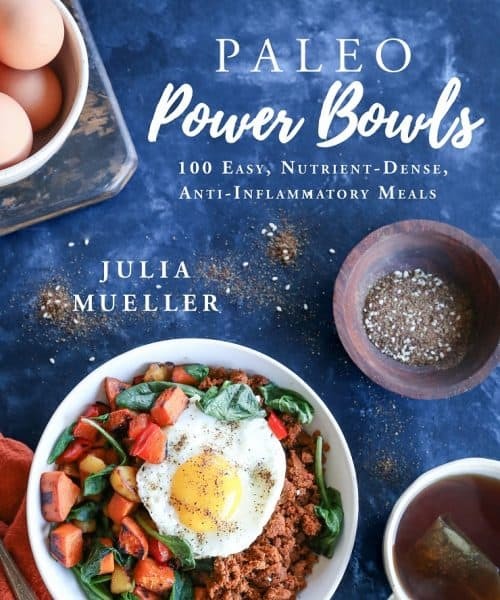 This easy recipe is low-carb, keto, and paleo and is a marvelous way to get your greens. If you’ve been hanging out with me here on The Roasted Root for quite some time, you’re familiar with the fact that I sometimes make pizza crust out of seemingly odd things. 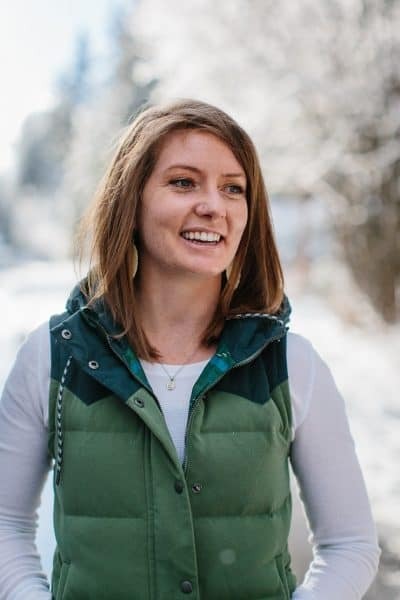 For instance, Cauliflower Pizza Crust, Almond Flour Pizza Crust and Kale Pizza Crust have been on constant rotation in my household and have weaved their way in and out of this blog for years. I’ve even been known to make Stuffed Portobello Pizzas. In essence, girl loves a slice. As you may have surmised, when I make pizza, I typically make it grain-free. Even the gluten-free pizza crust mixes from the grocery store that are so convenient can illicit issues with the ol’ digestive system for me, so grain-free I stay. When I started eating gluten-free (and mostly paleo) over seven years ago, pizza on top of kale pizza crust was a weekly occurrence. I love the fact the crust adds nutrients to your pizza experience and I also enjoy the flavor and texture. I will say, kale pizza crust is absolutely nothing like regular pizza crust (psst! : my cauliflower pizza crust and almond flour pizza crust recipes do come close to the real deal). It is, however, a way to get cheese in your face, and that, m’dears, is something. So how do we make kale pizza crust? I start with frozen kale. Why frozen? When frozen, getting the water out of the kale is much easier and the leaves are already wilted, which helps them bind together to make the crust. In this sense, there is a reason for the frozen-ness…I don’t recommend using fresh kale. I simply buy a couple of bags of organic frozen kale and go from there. 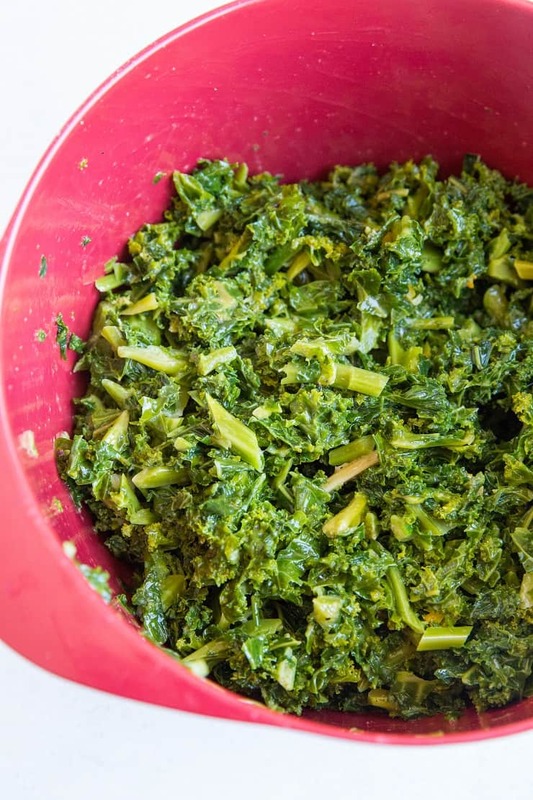 Thaw the frozen kale in your refrigerator. Once thawed, transfer the kale to a colander and have a mixing bowl nearby. Grab as much kale as you can in one hand and squeeze the lifeblood out of it to get all the water out. Then transfer this handful of drained kale to the mixing bowl. Repeat this process for all of the kale, getting out as much water as possible. Whisk up a few eggs in a bowl, then transfer the beaten eggs to the mixing bowl with the kale. Add in some sea salt and garlic powder (and anything else you’d like to add…chopped onion, red pepper flakes, bell pepper, sun-dried tomatoes are all tasty!). Mix everything thoroughly, then transfer to a parchment-lined baking sheet. Let’s discuss baking sheet options. I use a smaller 9.5″ x 7″ baking sheet. 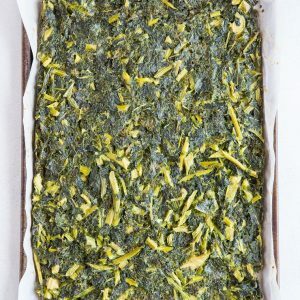 If you use a larger baking sheet, you’ll want to go with two 16-ounce bags of frozen kale, versus the 10-ounce bags I mention in the recipe and 4 eggs instead of 3. You’re aiming for a crust that is about ¼-inch to ½-inch thick. You can definitely go thinner and break the recipe into two pizzas — the thicker crust is just my personal preference. 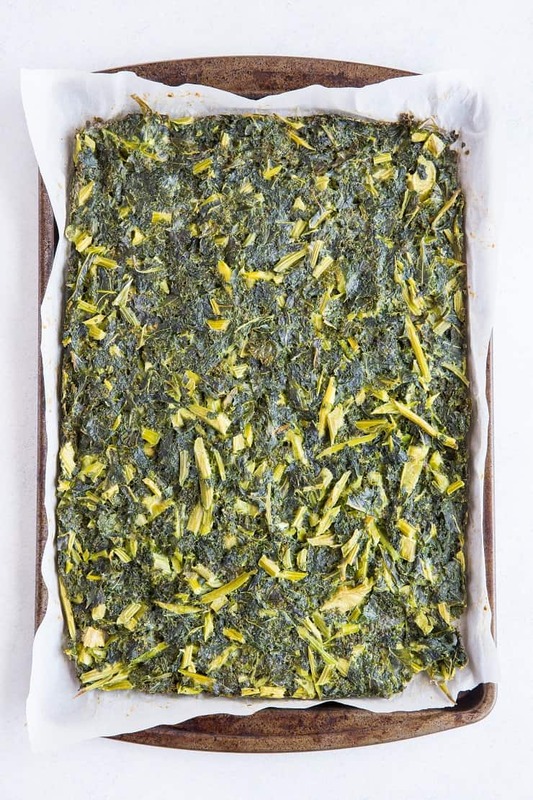 Use your hands to press the kale mixture into the baking sheet, creating an even layer. Bake in the preheated oven, and then you have your crust! Once your crust is out of the oven, you can top it. I like using an organic marinara sauce, mozarella, and whatever else I’m feeling that day. The pizza goes back into the oven to melt the toppings together, then viola! 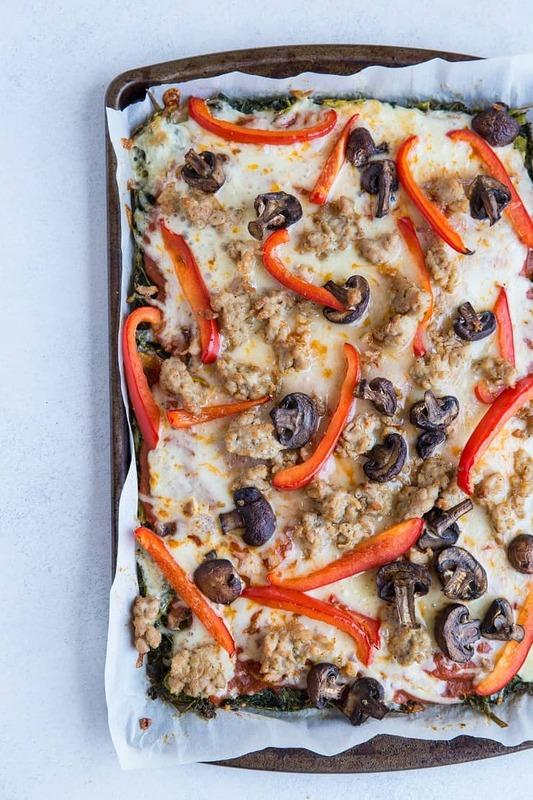 You have yourself a low-carb, keto-friendly pizza crust, perfect for those times you’re craving something comforting, but want to keep it low on the glycemic index. I will be sharing this particular pizza recipe with you soon – in the meantime, get creative with your toppings, and get your kale on! 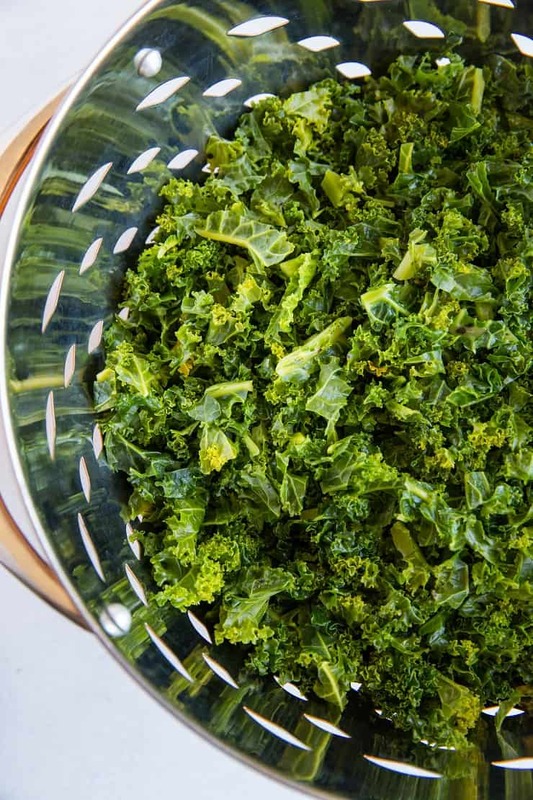 Place thawed frozen kale in a colander and place a large mixing bowl nearby. Take heaping fist-fulls of kale in your hands and squeeze thoroughly to drain the water. Transfer the squeezed kale to the mixing bowl. Repeat for remaining kale. Pour the beaten eggs into the mixing bowl with the kale along with the sea salt and garlic powder. Mix well until well-combined. Preheat the oven to 375 degrees F and line a 9.5" x 7" baking sheet with parchment paper. 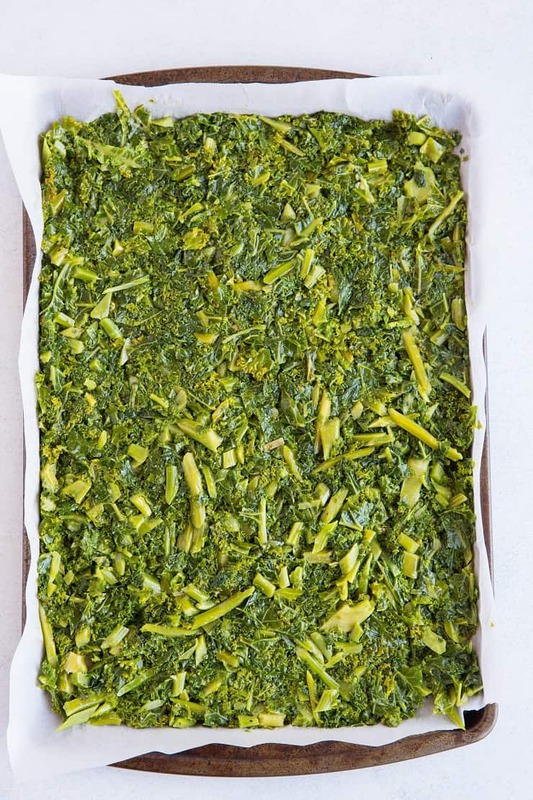 Transfer the kale mixture to the parchment-lined baking sheet. 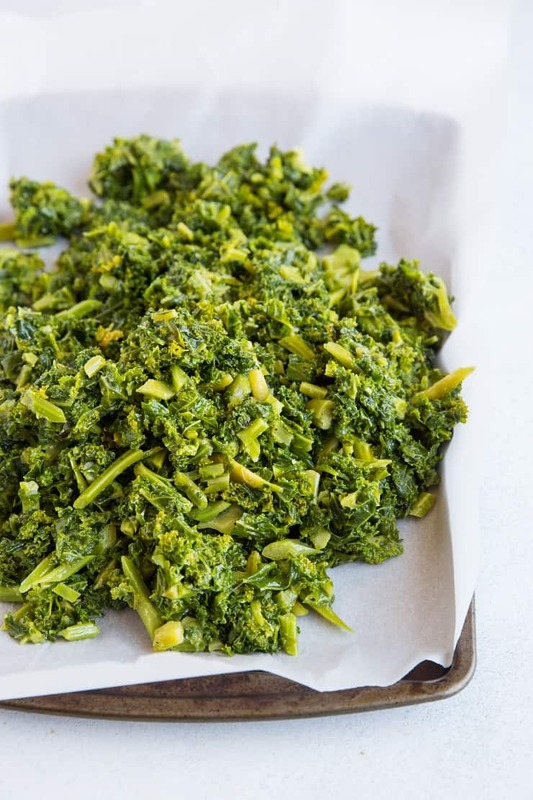 Use your hands to firmly press the kale mixture into the baking sheet, forming a firm even layer. Bake in the preheated oven 30 to 35 minutes, or until edges are golden-brown and crust feels firm to the touch. 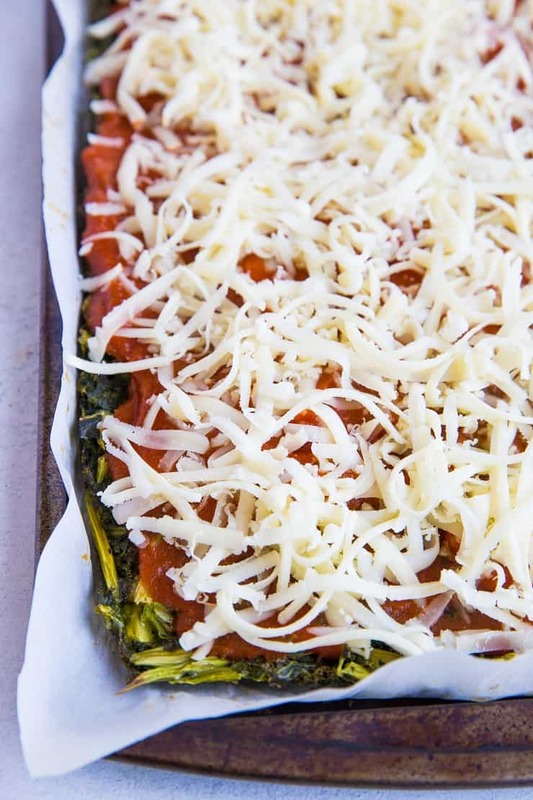 Remove kale pizza crust from the oven and add your favorite pizza toppings. Bake pizza with toppings at 400 degrees F for 10 to 15 minutes, or until cheese is melted and bubbly. Allow pizza to cool 5 minutes before slicing and serving.